They sold-out their show at the El Rey Theatre in August and now Tokyo Police Club is ready to do it again, only this time at one of our favorite venues, The Glass House in Pomona! Win tickets to Tokyo Police Club with Tygers of Wrath and The Shape of the Earth at The Glass House on Friday October 8, 2010. Grimy Goods is gonna give a few lucky winners a pair of tickets to this show! First, make sure you’re following us on Twitter and/or Facebook (we check) then just shoot us an email with a short rhyme/poem about Tokyo Police Club (two sentences is fine)! Choose “Contests” as the subject line option and in the body of your email put: TPC! I wanna win! The people with the best rhymes will win a pair of tickets. Be sure to include your full name and twitter name! Email your response on our Contact Page. Be sure to check out all the cool shows coming up at The Glass House! There’s a lot of good ones! 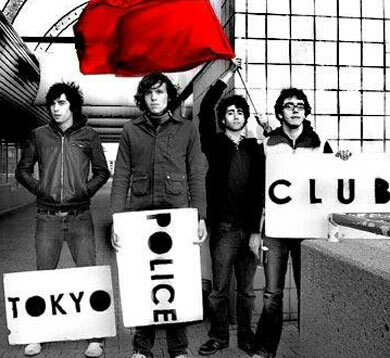 To buy tickets to Tokyo Police Club at The Glass House, click here. This entry was posted in Giveaways and tagged concert tickets, discount concert tickets, free tickets, goldenvoice, show contests, the glass house, The Shape of the Earth, tickets contests, tokyo police club, Tygers of Wrath, win on October 5, 2010 by Sandra Burciaga Olinger.